Full casting has been confirmed for the UK tour of In The Willows: the explosive brand new musical retelling of The Wind In The Willows, from the award-winning Metta Theatre. Olivier award-winning actor, ‘the nation’s favourite pantomime dame’, and star of BBC’s The Story of Tracey Beaker, Clive Rowe will star as Mr Badger, while X Factor favourite Seann Miley Moore (Duck) and Let It Shine performer Matt Knight (Chief Weasel) join the cast. Choreographed by Rhimes Lecointe, the production will incorporate British Sign Language (BSL) into the choreography and BSL interpreted performances for a unified production for D/deaf and hearing audiences alike. The production opens at the Exeter Northcott on 22 February 2019, touring the UK until 1 June, with a press night on Thursday 21 March at the Belgrade Theatre, Coventry. Chris Fonseca (‘Otter’) will be joined by the hip-hop dancer Kloe Dean as ‘Owl’, Let It Shine singer and performer Matt Knight as ‘Chief Weasel’, Katherine Picar as ‘Bitchy Rabbit’, and dancer Sean Moon as ‘Snitchy Rabbit’. ‘Twitchy Rabbit’ and further casting to be announced soon. After suffering meningitis, street dancer Chris Fonseca was made deaf in both ears from a very young age. He dances with the use of a Cochlear Implant in one ear, and the sensation of musical vibrations through his body. In 2010, Chris joined the all deaf dance group, Def Motion. In 2014, he joined Studio 68 dance training academy as a teacher and choreographer. He is now a solo dancer. Hip-hop dancer, choreographer and freestyler Kloe Dean is part of the leading street dance company Boy Blue Entertainment, as well as leading her own all female dance collective, Myself UK Dance. Kloe has performed in numerous productions, showcases and competitions in and around the UK, as well as dancing for music artists and touring with Blaze. She has also showcased her own choreography at Breakin Convention, at the international hip-hop championships in Las Vegas and appeared on Channel 4, CBBC and Sky. Matt Knight’s stage credits include: Little Mermaid Circus Musical (UK Tour, Metta Theatre), Peter Pan The Arena Tour (World Biggest Panto) and The Jungle Book (2016 & 2017 UK Tour). His screen credits include: Semi Finalist – Iron Sun in Let It Shine (BBC One), Dancer in Florence Foster Jenkins (Stephen Frears), Actor / Tricker in Tip Of The Wall Script (Red Bee Media), Featured Dancer in Wiley (Music Video), Dancer / Tricker in Ant & Dec’s Text Santa Christmas Show (ITV). Katherine Picar was a cast member of the West End Revival of Miss Saigon at the Prince Edward Theatre, and she returned to the production in the original cast of the UK and Ireland tour. Other credits include: Jill in the Web Series Scare School, Lead Singer in ASAP20 Live at the SSE Wembley Arena for The Filipino Channel (TFC) and the original workshop and bootcamp for Hamilton (London). As a dancer Katherine appeared in the United Kingdom Eurovision Music Video entry in 2015, as Ballet/Pointe Girl in Billy Elliot The Musical directed by Stephen Daldry and as a tap dancer on The One Show for Arlene Phillips. Choreographer Sean Moon’s credits as a dancer and assistant choreographer include: Strictly Come Dancing (BBC), Finding Your Feet (Entertainment One), The Voice of Ireland (RTE), Dancing with the Stars France (BBC Worldwide), Dancing with the Stars Ireland (BBC Worldwide), Walking on Sunshine (Vertigo Films), Rolling Stones 50th Anniversary Concert (O2 Arena), Cuban Fury (Big Talk), Dirty Dancing (Secret Cinema) and Harry Hill the Movie (Lucky Features). In The Willows transforms Kenneth Grahame’s well-loved tale into a thrilling new hip hop musical, written and directed by Poppy Burton-Morgan (Jungle Book, UK & International Tour), with music from award-winning composer Pippa Cleary (The Secret Diary of Adrian Mole, Chocolate Factory; Prodigy, St James Theatre) and groundbreaking hip-hop Composer Keiran Merrick, set and lighting design by William Reynolds, costume design by Ryan Dawson Laight (Blak Whyte Gray, Barbican), and with choreography from Rhimes Lecointe (Associate choreographer for Zoo Nation, and Artistic Director of Boudicea). After their smash hit street-dance Jungle Book and circus-musical Little Mermaid, the award-winning Metta Theatre bring you a bold new take on this much-loved classic. Metta Theatre is at the forefront of cross-art-form theatre practice, known for combining emotionally powerful performances with imaginative theatricality and striking visual style. Metta Theatre is one of the UK’s leading mid-scale touring companies – making exceptional theatre and opera that represents and celebrates the diversity of our world. 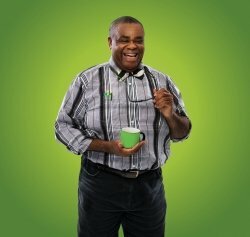 Olivier-award winner Clive Rowe MBE has had an illustrious career on stage and screen; best-known to family audiences for his role as ‘Norman “Duke” Ellington in BBC Children’s drama The Story of Tracy Beaker, Clive’s extensive stage credits include Me and My Girl (Chichester), Guys and Dolls (NT and West End), Chicago (Adelphi), The Light Princess (NT), Kiss Me Kate (Chichester and Old Vic), and many appearances in panto, particularly at the Hackney Empire. In The Willows is produced by Metta Theatre and Exeter Northcott Theatre, supported by the Arts Council Strategic Touring Fund.